Holiday Trash Collection Notice: Trash and bulk collections will take place on Tuesday instead of Monday due to the holiday. The Village Office will be closed on Monday and will reopen on Tuesday. Have a safe and happy Labor Day weekend! An escorted group of over 275 motorcyclists is expected to make their way through Wind Point today sometime after 12 p.m. 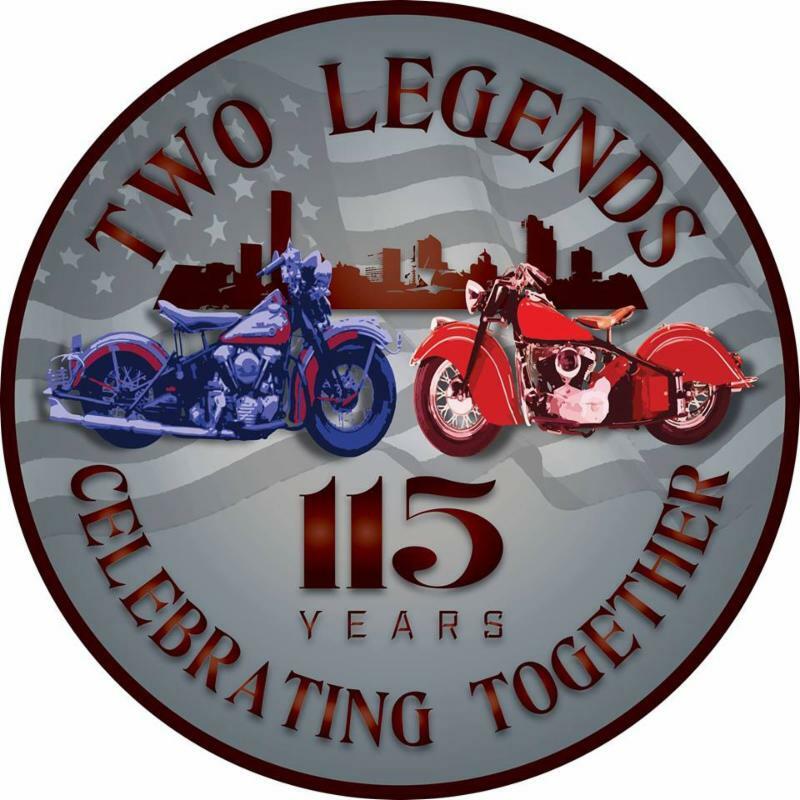 The group, organized by Porcaro Indian Motorcycle of Racine and Nash Indian Riders Group, will be attempting to set a new Guinness World Record for the largest Indian Motorcycle Ride. The ride will start at the Porcaro Indian Motorcycle dealership and make its way toward Wind Point where it will loop around (Three Mile Rd., Lighthouse Dr. and Four Mile Rd.) and head back toward downtown Racine. Traffic delays and moderate noise is to be expected. About 200 Wind Point residents were in attendance for the annual Village Picnic on August 12 to enjoy sunny weather with neighbors, food from Danny's Meats and music by Young Strings. ﻿Thank you to all who helped with this year's picnic and to Johnson Bank for donating their tent. 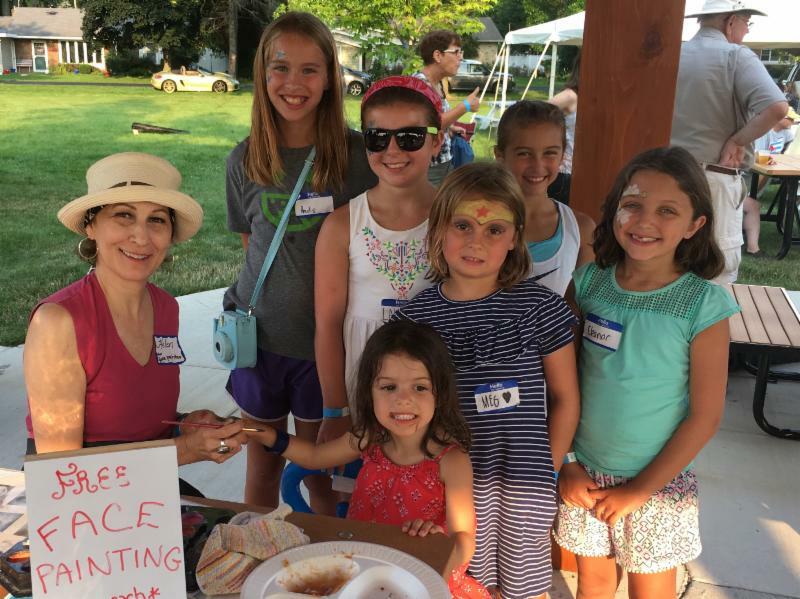 If you are interested in helping plan next year's Village picnic, please contact the Village Office at 262-639-3524 or info@windpoint.org . A total of 629 votes were cast in Wind Point for the Partisan Primary Election on August 14, 2018, representing a 48% turnout of registered voters in the Village. It was more votes cast than the partisan primaries in 2016 (548), 2014 (460) and 2012 (526), but slightly less than the primaries in 2010 and 2008. 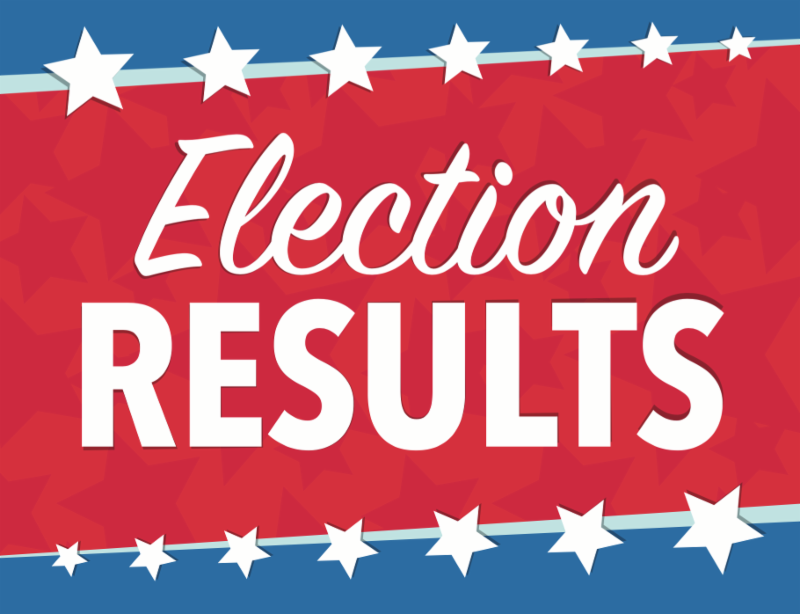 To view election results for Wind Point and the rest of Racine County, click here . The Fall General Election will be held on Tuesday, November 6, 2018. Absentee ballots will be mailed out beginning in late September to electors with requests on file. To request an absentee ballot by mail, submit an absentee ballot request form to the Village Office. A copy of your photo ID must accompany the request if you have not previously provided a copy of acceptable photo ID with a prior by-mail absentee ballot request. 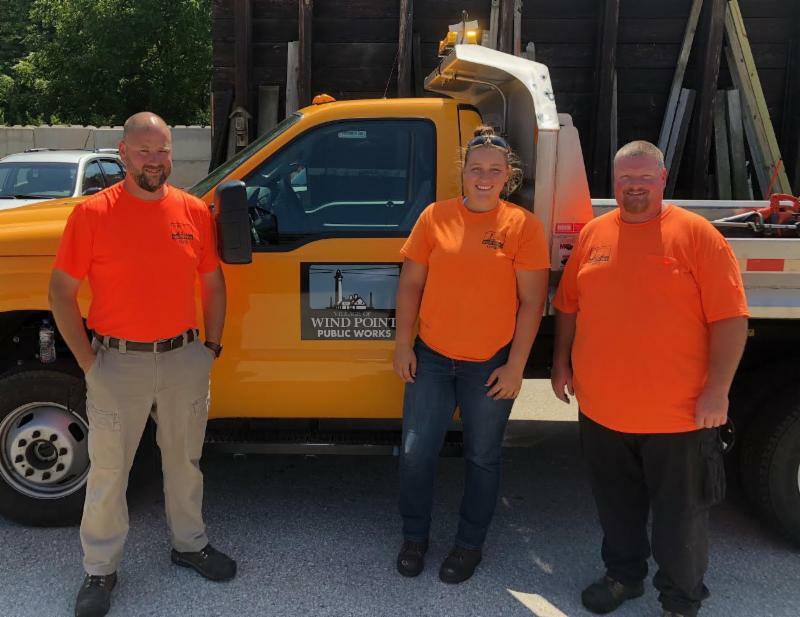 For any questions, contact Administrator/Clerk-Treasurer Michael Hawes at 262-639-3524 or m.hawes@windpoint.org . 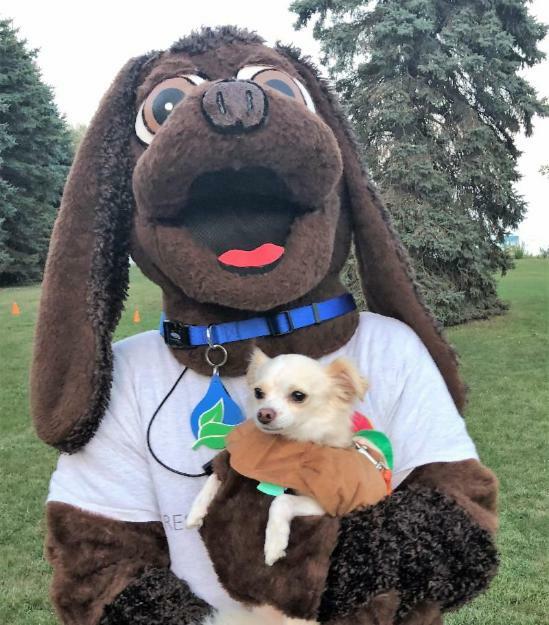 Thank you to Gary Smith of Wind Point Living for organizing another fun pet parade! Police Officer Robert Stauss has retired from the Wind Point Police Department, effective August 31. Officer Stauss has been a dedicated officer in Wind Point for over 10 years. We wish Bob well on his retirement and thank him for his service to Wind Point! Edgar Romero has completed his summer term as management intern with the Village Office. Best of luck to Edgar as he returns to UW-Milwaukee for his second year in the Master of Public Administration program. Brooklyn Ottelien's last day as our Public Works Summer Laborer was Thursday, August 23. Good luck to Brooklyn as she returns to school at Viterbo University! Pictured: Brooklyn (center) with DPW Supervisor Jack Feiner (left) and DPW Assistant Joe Thoennes (right). In a school zone, stop and yield to pedestrians crossing the crosswalk or intersection. Don't honk or rev your engine to scare a pedestrian, even if you have the right of way. Always use extreme caution to avoid striking pedestrians wherever they may be, no matter who has the right-of-way. Newport Development has indicated to the Village that they are making progress on plans for the Wind Point School property. They are continuing to work through drainage and sewer options for the site, and it is anticipated that concept plans may be presented at neighborhood meetings this fall. 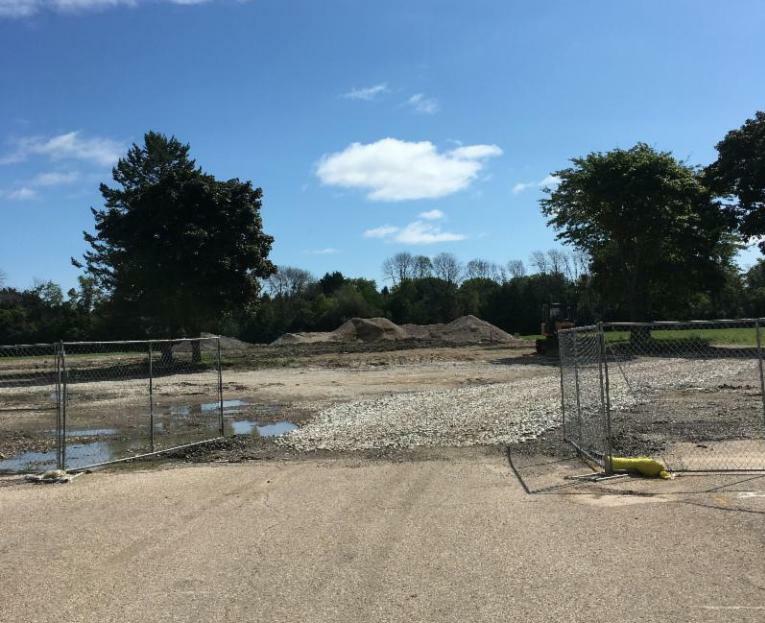 Meanwhile, Reesman's Excavating is expected to do grading work on the site soon to reduce the size of dirt and gravel piles remaining from the demolition. 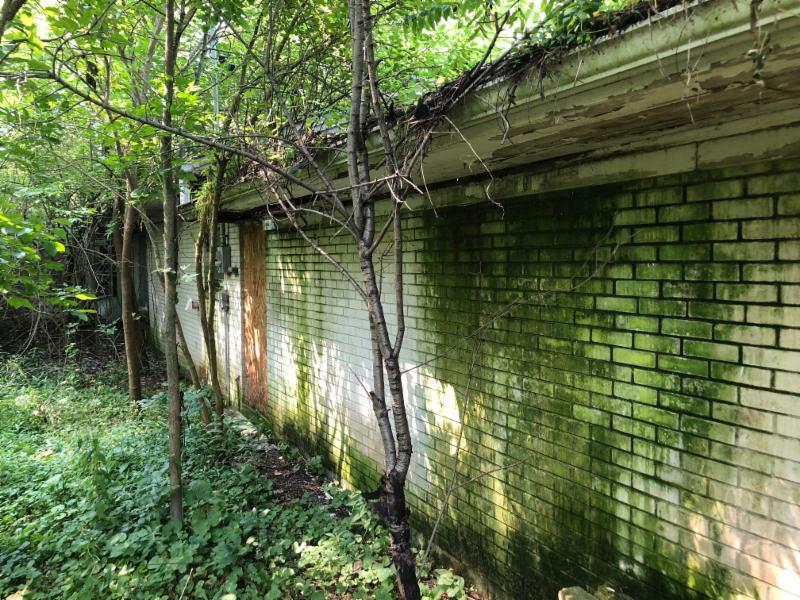 At a meeting on August 9, the Village Board approved the demolition of a vacant house located on Village-owned property at 4403 N. Main St. Village staff determined the house was in disrepair and did not meet the standards of the Village's property maintenance ordinance. Demolition is expected to occur later this month or in October. 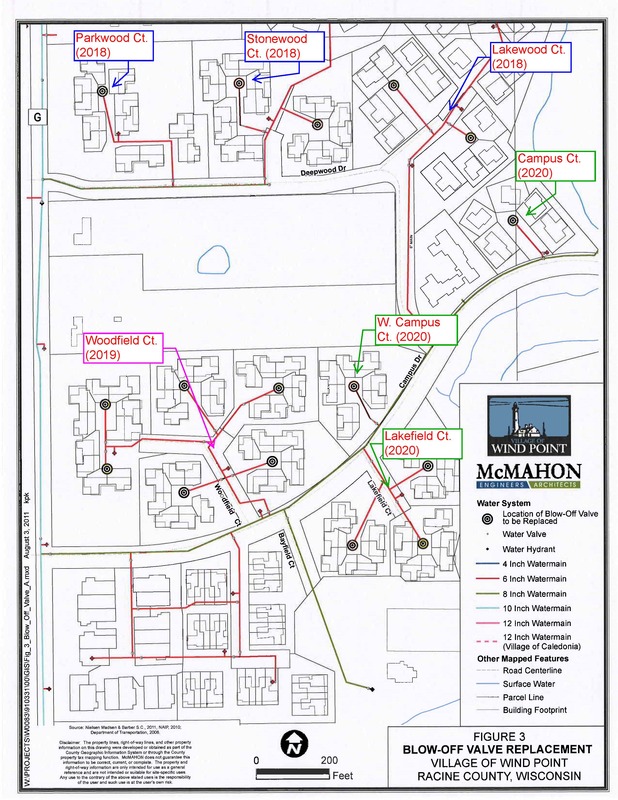 As described in the July and June E-News, the Village is in the process of resolving a road access issue in which a narrow strip of land blocks access to Deepwood Dr. from 4403 N. Main St. After the road access issue is resolved, the relevant Village committees will work through a multi-phase process to determine the best future use of the property. Looking for a way to safely dispose old paints or chemicals? 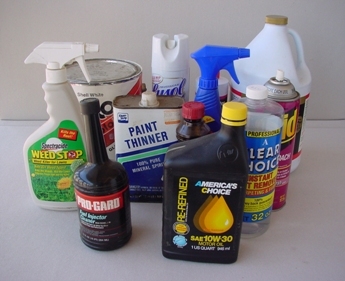 Household hazardous waste collections are available to Wind Point residents on the third Saturday of each month, from April to October. The collection takes place from 8 a.m. to 1 p.m. at 6200 21st St. in Racine (near the former Sam's Club). Proof of residence is needed to use the service, such as a driver's license or property tax statement. Items that are accepted for disposal include fluorescent light bulbs/compact bulbs (CFLs), solvent-based cleaners, oil-based paints, paint stripper/remover, varnish, gasoline/fuels, thermometers with mercury, weed killer and lighter fluid. To view a full list of what type of items are collected, click here . Take advantage of this program to help keep hazardous wastes out of our rivers and streams! The service is funded by property taxes - each household in Wind Point pays approximately $4 per year to participate. Are you new to the Village or planning a move? Please be sure to contact our office at 262-639-3524 or info@windpoint.org and notify us of a change in customer information on your water utility account. 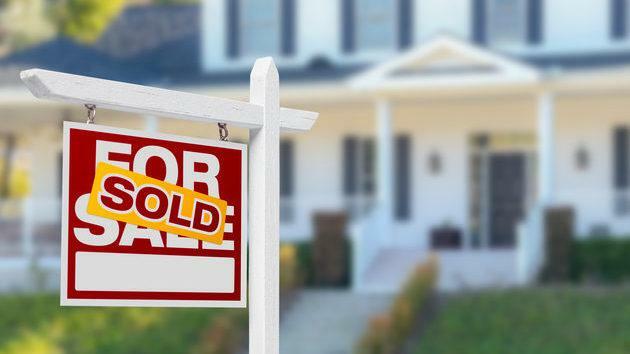 If we are not notified, the bills will continue to be sent to the individual listed on the account, which could result in the bill being forwarded to the new home of the prior owner. Remember to also contact the Caledonia Utility District at 262-681-3900 to update the sanitary sewer account. If you are new to Wind Point, be sure to stop by the Village Office at 215 E. Four Mile Rd. for a New Resident Packet! Approved razing the dilapidated structure at 4403 N. Main St. for a total amount not to exceed $20,000. Heard an update on the 2019 Budget Timeline and a quarterly update on investments. Approved the installation of gate closers and stops at Village Green tennis courts. Heard an update on the 2018 Road Program and instructed staff to have paving deficiencies corrected by Payne & Dolan. Instructed staff to proceed with contacting the homeowners on the private section of Wind Point Rd. to establish an agreement for continued plowing and salting services. Agreed to contracting with Racine County for IT support services. The next regular meeting is scheduled for Thursday, September 13 at 5:30 p.m. at the Village Hall (lighthouse).